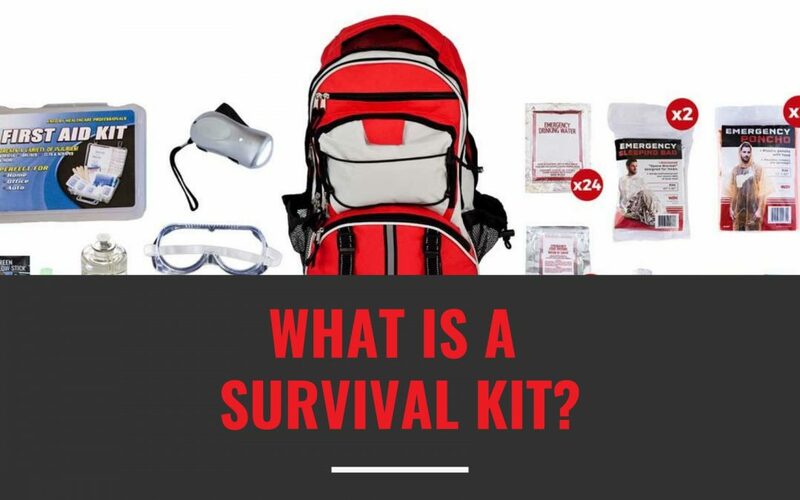 Maybe you have heard of survival kits but aren’t quite sure what they are. A survival kit can be defined as a package of basic tools and supplies prepared in advance as an aid to survival in an emergency. Survival kits are a key part of an emergency preparedness plan. Why should you have a survival kit? After a disaster you and your family may need to survive on your own for several days. A survival kit can provide you with necessary items such as food, water, shelter, communication, important documents, and more. Having these items ready to go at a moments notice can help you to protect your family. What items are in a survival kit? It can vary from kit to kit according to your needs. Below are some basics that should be in your kit. What are the different types of survival kits? Personal survival kits. These are survival kits that have the supplies for one person. Multi-person/family survival kits. These survival kits have supplies for two or more people. Some survival kits have enough supplies for four people. Survival kits for children. Survival kits for children are smaller and lighter just for them. Survival kits for pets. For many families their pets are members of the family too. These survival kits have supplies just for them. Bucket survival kits. These kits are packed in a bucket that has a toilet seat lid. They are generally larger and have supplies for as many as 10 people. Mini survival kits. These are packed in a small travel size bag. They are perfect to keep in a desk, backpack, or glovebox. What type of survival kit do you need? This all depends on your circumstances. You’ll want to evaluate who will be carrying the survival kit or kits. For example will you or your spouse be carrying the supplies necessary for both of you? Then a two person survival kit would be ideal. If you have children that are capable of carrying their own survival kit then a survival kit for children could be best for them. Some on the other hand prefer to have all of the supplies for the family in one place. In that case a four person survival kit or a bucket survival kit would be ideal. A survival kit can help you and your family to survive a disaster. It provides necessary items at a moments notice so that you can protect your family. It will have items such as food, water, communication, and more. We created Mainely Survival to provide you with quality survival kits and emergency supplies. We have a variety of types of survival kits to take care of your needs. Click here to shop for survival kits.